The condition of our times – ADHD, overload, multiple feed sources, an ocean of sensation, objects, ideas, colours, opinions, flowing past and fast around us. Glimpses of things – fix them for a moment then they are gone – too soon to sort, too fast to place, too close to see, always too slippery to grasp, too conditional to fix. My first encounter with Jacob Leary’s artwork seemed to present a physical exposition of this intellectual condition. All the components derived from a familiar place, (or places), they flashed into recognition momentarily as ‘themselves’ before disappearing back into the totality of the whole installation, or, conversely they appeared as elements of totality which then proclaimed themselves as familiar – a rich and constant dynamic of identity slippage. For me a perfect visual actualisation of the river of stuff, the ocean of ideas in which we float on the tide or swim with it in resignation, or swim against in a futile and ultimately exhausting attempt to reach the shore of meaning or a mythical island where it all fits together seamlessly. A particular aspect of melancholy is to feel disconnected from things. The only way for the melancholic to remain engaged is to immerse themselves in a flow of sensation. This is the condition Andy Warhol lived. As long as the sensations passed, subsuming one another before boredom set in, that was enough to remain interested, if connection is impossible and undesired, (or simply impossible). Detatchment. Meaning? – it’s always after the event and always conditional, and is not the immediate concern of the spectator. Is this melancholic condition becoming a core element of the nature of our being? Pop Culture is disposable, instant love turns as quickly to instant hate, the one liner, the flash of sensation absorbed in toto. Nothing to stay for, it’s all here on the surface, get it and go. The surface is the substance, it’s thin, slick, loud and fast, it comes too quickly and leaves no note. Jacob Leary’s work insists on our attention. The confluence of its elements overwhelms. It sits at the horizon of order, more potential than proscriptive. Could it all fall apart just as fast as it all fell together? Could it mutate endlessly, multiply exponentially? If fixed and conclusive, would it lose its life? I think so… I think of the growth of webs of mould, webs of fungal tendrils, swamping and climbing over everything, seeking out the interstices, roots climbing over walls creating a new surface, which both hides and articulates that upon which, or within which, it grows. Dandy Forces grows partly due to certain fixed conditions, colour, material, size and length of the constituent elements and partly in response to the conditions of the space. Scale, connections to ground and walls, to other parts of the installation start to force an organic and partly instinctive, intended and reactive reproduction of these set elements. More like a rhizome than a fractal, it forces itself into the space, apparently in a pattern but in reality according to a set of simple prescriptions about method, material and connection. It slows down and speeds up, it climbs and it retreats. Here it stands solid and here it collapses, here it changes its (apparent) rules. Is there a pattern here, like snowflakes or some Golden Ratio? Is there a formula, a geometric equivalent for a natural numeric order or perhaps some Kabbalistic preset? No, but there is an enforced limitation and discipline. As it grows it mutates according to often unpredictable changes of condition. It obeys natural laws but disputes any tendency to significance in its merely ‘apparent’ sets and rules. As Jacob describes it, “Defined by structural repetition and a visual language which is ordered and clinical yet dandy and approachable; the installation has grown out of its constraints. The conditions of space, time, budget, forces, energy and construction modes all intertwined to produce the particular outcome of the work – a virtual pool of potentials which have become realised”. But this realisation is not complete, other than in the fact of it in its actuality as object, as construction of fixedness, physically but not conceptual. Conceptually and therefore philosophically it suggests conclusions but resists them, it will not behave. It is a kind of contained chaos subverting that which it purports to be. In this it is an appropriate physical expression of the nature of things, a suitable metaphor for the way things really happen. Plan a Garden, prepare it, plant it, nurture it, maintain and admire it. Then leave it alone. Now the wildness begins, slowly at first but ultimately it overgrows, things rot, collapse, become entangled and choked, even the stone walls melt and break down. Nature is rapacious, our futile activity is reduced to an appropriate balance of insistent forces in fierce competition. Our conceits get buried under the weight of unrelenting natural processes, our visions are swallowed by hungry weeds. All is conditional. All is temporary. In this installation we can sense that this is both a metaphor for, and a clear and actual description of the fate of the futile conceits of humans. The breakdown proceeds from mad growth, avid production, to entropy – the ultimate to which everything is ultimately subject. A structure grows out of an idea and can even outlive the idea which gives it birth, it can survive to become anomalous, a curiosity, an alien thing out of time. Ideas move, objects don’t. All art is ephemeral, as is all human production. Art is conditional as are all human ideas. 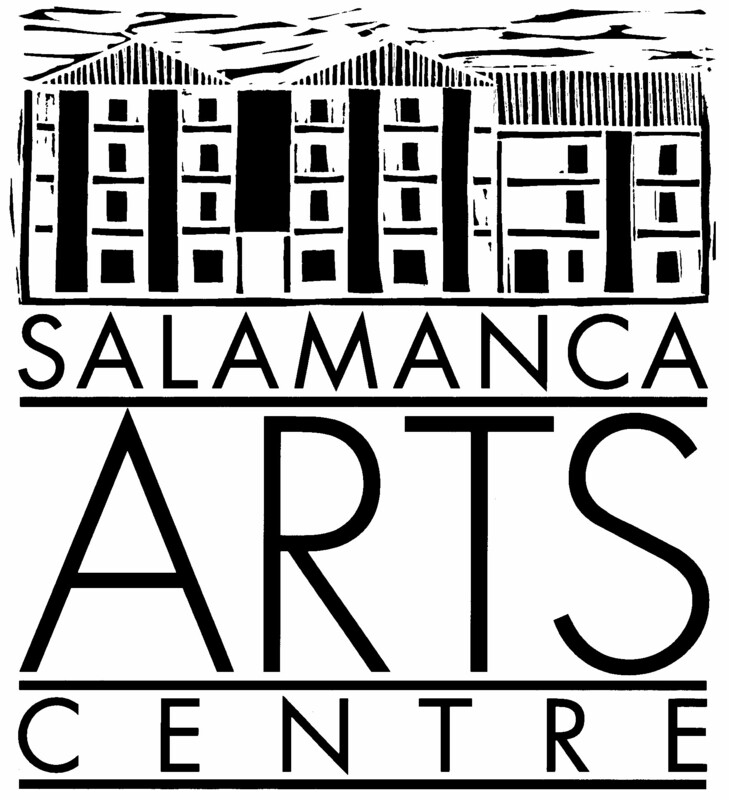 Kelly’s Garden Curated Projects is an initiative of the Salamanca Arts Centre and made possible through the generosity of Aspect Design and fundraising from SAC’s supporters at Quiz Night. This project was assisted through Arts Tasmania by the Minister for the Arts. The artist would like to thank Seán Kelly, David Hughes and Fiona Fraser.